Whether they are buyers of technology, services or direct consumers, we engage with key stakeholders across the healthcare industry. Whether they are buyers of technology, services or direct consumers, we engage with key stakeholders across the healthcare industry. 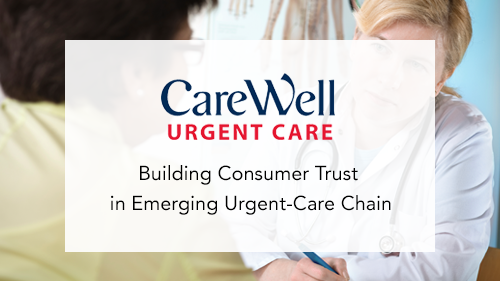 We touch on topics ranging from value-based care and population health management to allergy diagnostics, emergency department throughput and chronic catheterization. FDA-compliant patient communications for health systems, from stories placed in hyper-local outlets to paid social media communications aimed at specific conditions. Content programs targeting health system stakeholders, including awareness-building through earned media and targeted lead-gen programs (email, social, etc.). Collaborations with patient advocacy organizations, including outreach to their memberships, joint events and coordinated media outreach. Studies of healthcare audiences – e.g., differing perceptions between physicians and health plan executives – to drive media coverage and create assets for lead generation. Reputational media programs featuring health system executives, specialists and experts in healthcare IT, services and legal/regulatory matters. How well is your story being received? Is your story aligned with what receivers in healthcare want to hear and see? If not, we can help. Here are just some of the many companies and organizations we've helped to achieve their business objectives through effective brand storytelling.